Andrew M. Vanderhoof, J.D., LL.M, joined Cohen & Burnett, P.C. as an Estate Planning attorney in 2007. Andy focuses his practice on estate planning, estate administration and real estate. He received a Bachelor of Arts Degree in Government from William & Mary in Williamsburg, Virginia, and Law degree from the Willamette University School of Law in Salem, Oregon, where he was an editor on the law review. After being admitted to the Virginia State Bar in 1980, Andy joined the law firm of Tate & Bywater in Vienna, Virginia. 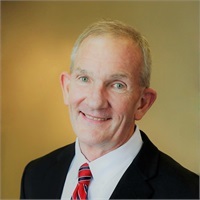 In 2001, he joined the legal publishing firm BNA Tax Management in Washington, D.C. as a Federal Tax Law Editor in the Estates, Gifts & Trusts/Exempt Organizations group. He joined the D.C. Bar in 2002 and completed his LL.M in the Law of International Taxation from Regent University in Virginia Beach, Virginia, in 2004. Andy resides with his wife of over 30 years. They have two sons, both of whom graduated from Virginia Tech. Andy is active in Toastmasters and the William & Mary Alumni Association.